This article has been written by "Shahmeer Amir". Shahmeer is one of the developers of "Maadstrack" and as Security Researcher he is acknowledge by international organization like Like Mediafire, 4shared ,Baracuda etc . He is a CPTE and CISSO certified From mile2. Being a Security Researcher you have to keep your knowledge and skills sharp. This involves gradual update of knowledge by studying books and taking online exams that are specifically related to co-operate penetration testing whether it be Networks or Web applications. There are many such vendors on the mighty internet that offer Penetration testing Exams with hands on practice of the courses and online labs. Although i am one of the guys that prefer skills better than certifications but this one caught my eye. One of the fastest growing in terms of reputation and my personal favorite "eLearn Security". This Course offers basic knowledge of real world penetration testing and definitive concepts. The main purpose of this course is to provide a base to the student for advanced techniques. This is a more advanced of Penetration testing whose concepts are more comprehensive and deep and require pre-requisite knowledge of some aspects. The exam is also a real world project that involves live penetration of a target and requires adequate amount of hands on practice. This course is specifically related to Web application Penetration Testing. It is I must say the most up to date course on the subject. The course focuses on detection and exploitation of OWASP Top 10 2013 listed vulnerabilities to offer in depth knowledge about them. It is also one of it's kind till yet. 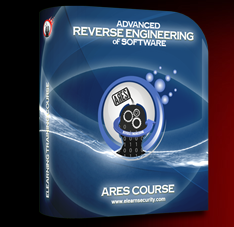 This course has the contents regarding software and malware reverse engineering. It's main objective is to teach theoretical and practical contents about Reverse Engineering to a learner having maintained the quality of the contents. This is rather a new course introduced by eLearn Security. 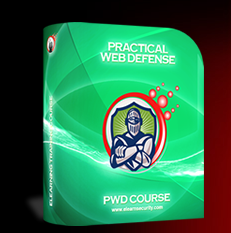 The main focus of this course to provide knowledge about Defence against web application attacks. It comprises of several modules designed just to serve the purpose. Provides a guide on how and why web applications are attacked. eLearn Security offers the above mentioned courses for learners . And I must say they are one of their kinds. Not only because the courses are most comprehensive and practical but also because in-depth knowledge is given to learner regarding the respective topic. I recommend the courses to anyone who is new to "Hacking and Security research". And i give eLearn Security a thumbs up for introducing such great courses for us Security Researchers.